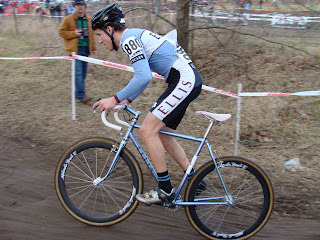 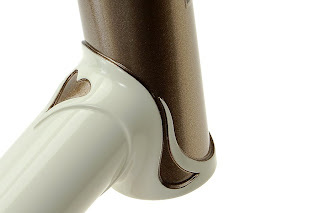 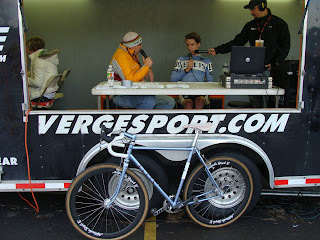 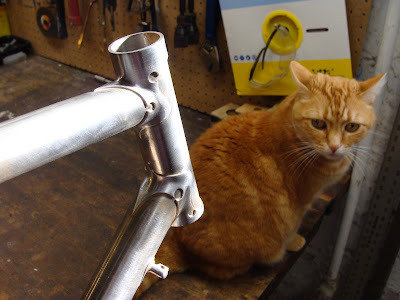 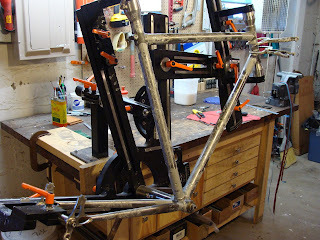 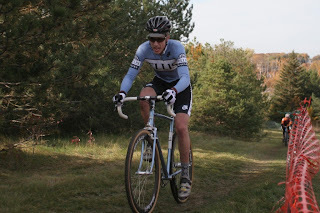 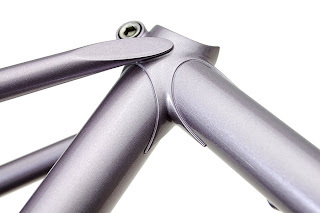 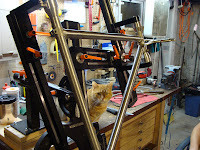 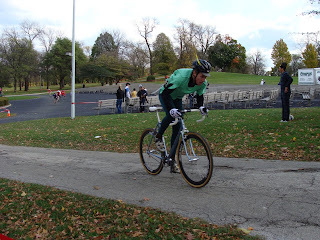 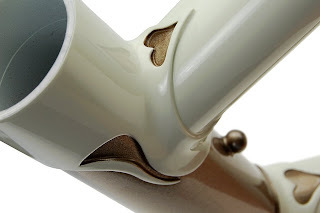 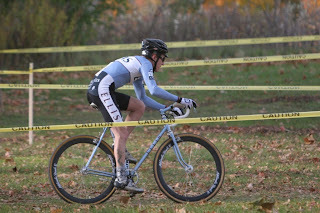 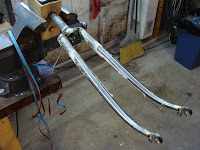 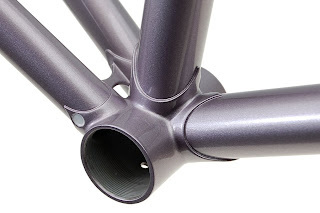 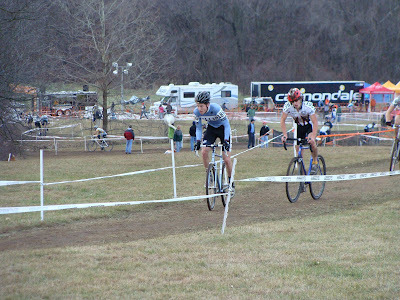 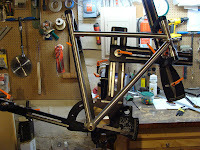 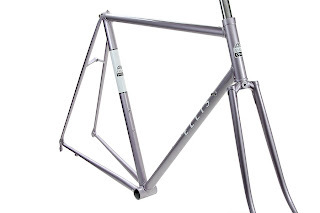 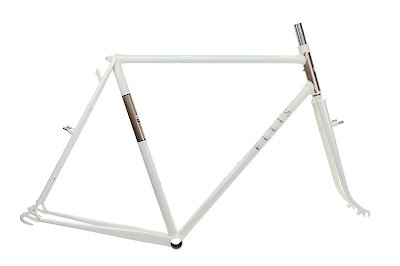 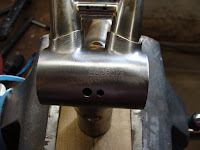 Rafael wanted a road frame with a bit of slope in the top tube, so I decided to go with Llewellyn's slant six lugset and I did a bit of carving much like my own road bike. 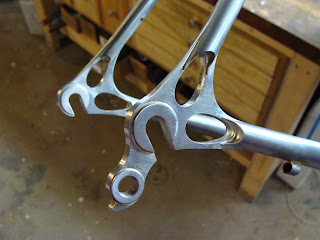 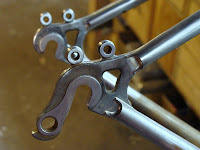 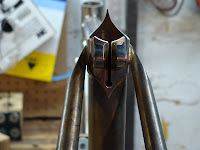 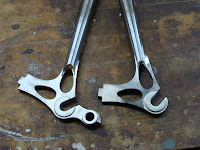 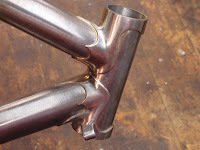 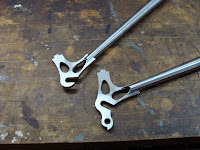 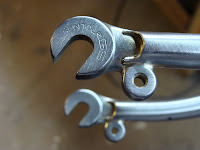 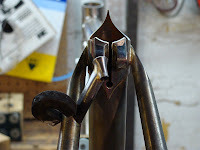 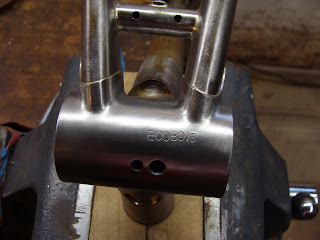 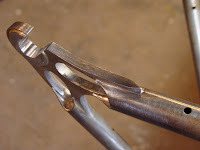 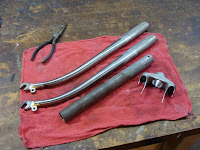 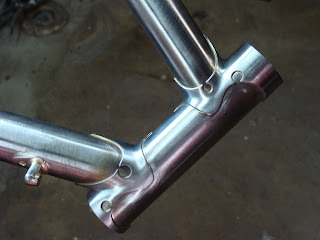 I'm using the Ellis dropouts too, here's a couple shots of them before and after brazing. 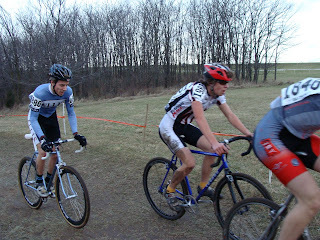 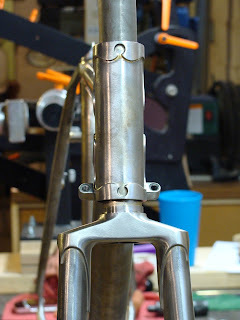 I wanted to throw in some pics of the internal cable routing that I use. 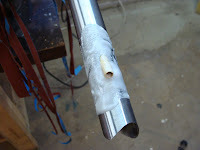 Here's the step by step view as I prepare the tube and the internal housing. 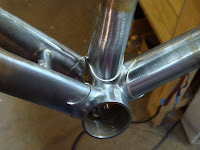 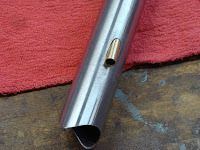 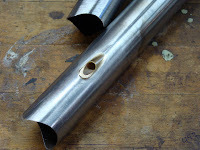 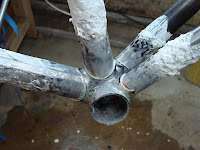 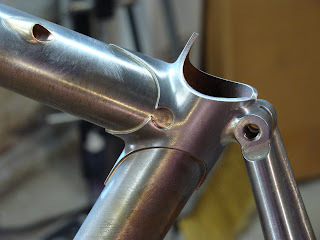 Here's the end protruding slightly and then fluxed for brazing. 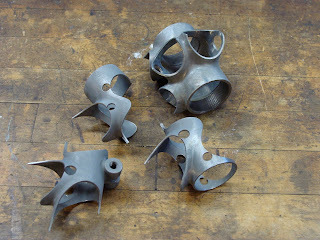 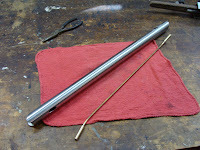 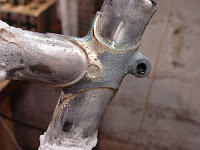 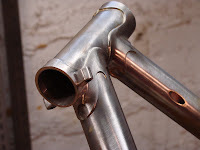 After brazing and then the finished end. 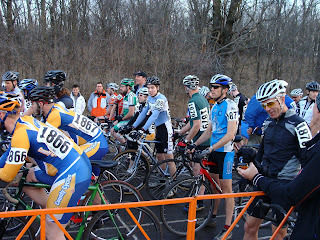 Ready to go into the fixture. 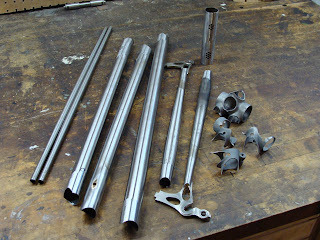 All the tubes and lugs cleaned and ready to go in the fixture. 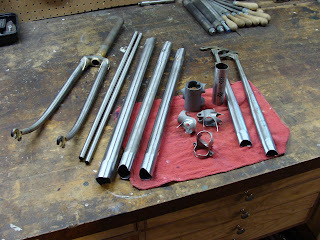 Fluxed up and loaded, now for the tacking. 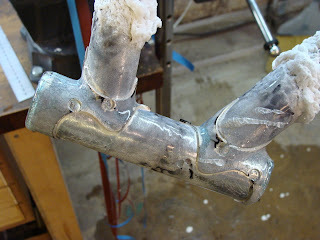 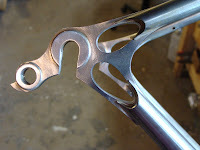 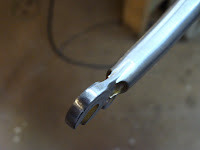 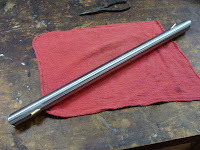 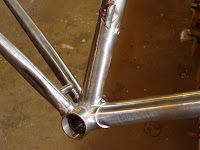 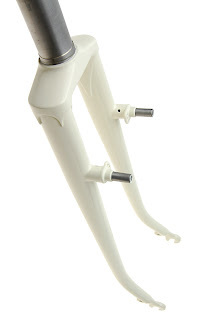 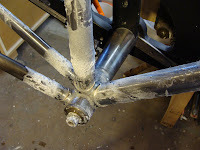 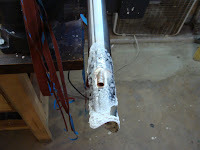 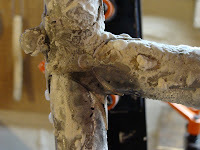 The seat lug and bottom bracket after tacking, not very pretty at this point.